Rio Tinto (LON:RIO) said global iron ore production of 66.4 million tonnes were up 8% year on year, below expectations of around 70 million tonnes and down 6% from the final quarter of 2013. The Anglo-Australian giant maintained its full year forecast for iron ore production of 295 million tonnes compared to 26 million in 2013. 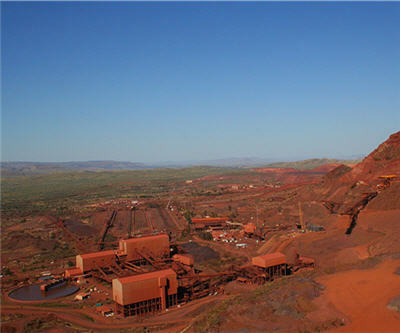 The Pilbara mines, including from the joint venture with Gina Reinhart's Hancock Prospecting, produced 63.4 million tonnes down 4.6%, with the reduced volumes blamed on cyclones and heavy rains. Rio's mined copper production cam in at better than expected 156,500 tonnes, up 17% year on year. The company expects to produce 570,000 tonnes in 2014. The company said mined copper benefited from higher grades at Kennecott Utah Copper and production at Oyu Tolgoi in Mongolia, which more than offset the elimination of production from copper assets divested in 2013. Hard coking coal production in Australia was 18% higher than the first quarter of 2013 due to improved production from the Kestrel mine, but down 20% from the fourth quarter also due to heavy rains.